Smartphone operating systems might not always be as easy to navigate as desktop OSs—finding files nested on the Android operating system can sometimes be a complex task in comparison to using File Explorer on the Windows operating system—but one thing that does work in their favor is problem-solving. 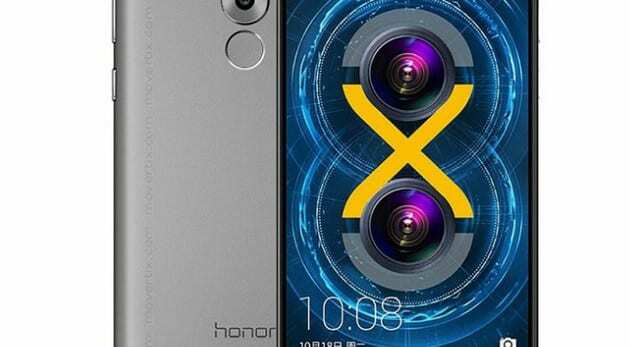 Rarely do you ever have to spend time trying to figure out the solution to a problem with the Honor 6X smartphone because most things can be fixed by simply taking a hard reset instead, a bit like utilizing a get out of jail free card. Despite many people saying otherwise, a hard reset and a factory reset on the Honor 6X device will yield the same outcomes: the phone will be restored to its default, factory state on both occasions. In other words, the same state that it was in when it left the factory responsible for manufacturing it. This means you shouldn’t expect to find any applications that you installed yourself still on the device. Any settings that you changed will be returned to how they were when you first opened the Honor 6X out of the box too. And, of course, unless you took a backup, all the data that you accumulated—pictures, documents, music, so forth—will no longer be available once the hard reset is complete. There are numerous similarities between computers and smartphones: they are made up of many of the same components, and all have the same heart, veins, and brain, so to speak. When it comes to resetting the software though, there are some differences. A modern-day computer operating system will offer three ways to reset: rebooting the OS, force-closing all open applications and forcing a reboot, and then a third way, which will return the device to its factory state, if desired. The mobile operating system offers the factory reset option, and the only alternative being the soft reset, which is the same as a straightforward reboot of the operating system. You shouldn’t worry about a hard reset causing any harm to your Honor 6X smartphone; provided that you’ve backed up any data that you didn’t want to lose, very little else can go wrong. 1. Switch off the Honor 6X smartphone. 2. Boot the Honor 6X smartphone up again by holding the Volume Up and Power buttons simultaneously. 3. Wait until you get a Huawei logo on the device’s display before releasing the two buttons. 4. Navigate using the Volume buttons and scroll down to highlight the “wipe data/factory reset” option and then confirm it by pressing on the Power button. 5. From the menu, repeat your selection of “wipe data/factory reset” and confirm it. 6. Once all the data is wiped from your device, select the “reboot system now” option. That’s all you need to apply a hard reset on the Huawei Honor 6X smartphone. Applying a hard reset is probably one of the more commonly exchanged phrases for when people are referring to implementing a factory reset, but the same guide above is also good for a few other causes. The same steps would also work if you just wanted to wipe all of the data on your Honor 6X smartphone, for instance. Likewise, you could also use the same steps for bypassing the screen lock or just to restore the defaults on the Honor 6X device.